The carcass of a four-year-old tigress was found in Balaghat district’s Khairlanji forests, taking the tiger mortality in the state to 13 this year. Khairlanji forests are nearly 470 kms south east of Bhopal, near Maharashtra border. Madhu V Raj, divisional forest officer (DFO) Balaghat North (territorial) told HT over phone that the field staff spotted the carcass in the Khairlanji forest range near Maharashtra border. “The carcass bore no injury marks. The exact cause of its death will be clear only after the post mortem results come”, he said With this MP has lost nine tigers within last two months and 13 this year. Since January 2015, MP lost 54 tigers. This is the second tiger death in Balaghat district this year. 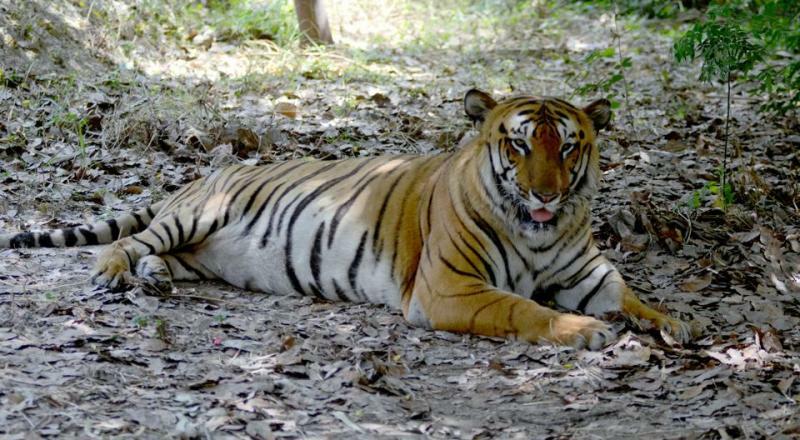 On April 21, nearly a year old tiger died in Balaghat’s Katangi forest area. Last month, a tiger was shot using a ‘vintage’ Bharmar gun in Betul district. The tiger became partially paralysed and later died in Bhopal. In the last week of February, in Midghat area of Sehore on the Bhopal-Hoshangabad rail track , a tiger was found dead near a pool of water near the rail track. Earlier in January a ten-year old tigress died due to electrocution in Banas river area near Sanjay-Dubari Tiger Reserve in Shahdol district. According to the last tiger census conducted in January 2015, the tiger numbers had increased in MP from 257 in 2010 to 308 in 2015. However since January 2015, 53 tigers have died in MP. In 2016, MP recorded nearly one-third of the tiger deaths (30 of 97) in the country, the highest for any state. May 20: Four-year-old tigress found dead in Balaghat district’s Khairlanji forests. May 6: Four year old male tiger dies in Satpura Tiger Reserve.